When a striking stranger kidnaps Princess Amara from her father’s palace, she never imagined him to be mythical desert king Fakhir ibn Saladin. She may have been raised to marry a king—but certainly not this one! 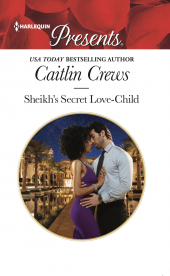 Fakhir is commanding and wild and untamed…and sets her alight in a way that Amara never knew possible. 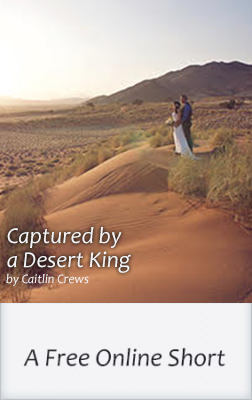 He will make her his desert queen, but will Amara give Fakhir the chance to claim her heart? The man appeared out of nowhere. One minute I was walking on the grounds of my father's summer palace, alone as usual. Not that princesses of the tiny Bharathian kingdom were ever truly alone, this close to neighboring Khalia and its revolving throne in the wake of King Tariq’s abdication. I knew there were guards patrolling the borders of the palace. They walked the walls and all around the grounds. But none were in sight. There was only the man walking toward me, dressed in black. I had wandered farther than usual this afternoon. Instead of staying in the garden, I’d taken myself down the graceful path that wound down to the cliffs, high above the Red Sea. I liked to read out there, surrounded by calling birds and the ocean breezes, with the surf down below. One moment there was nothing but me, the endless blue sky, and the ocean far below. And the next, he was there. "You cannot be here," I said, climbing to my feet, my book tumbling from my hand. "This will go badly for you." I remembered the stories my grandmother told, of bold men in her day who tried to take what wasn't theirs—and found themselves executed for their trouble. The kings of Bharathia protected what was theirs, no matter the cost. And I was in no doubt as to my value to my father. He had raised me to know my worth and, because of it, his great consequence. I noticed two things at once. First, this man showed no fear, no awe. His proximity to me was his death sentence, but he did not seem to care. Nor did he seem out of his mind, addled with drugs or hatred, which might explain such recklessness. On the contrary, he moved toward me as if these were his grounds, and I but one of his possessions. Something moved in me at that thought, low and hot. Because the second thing I noticed about the man who approached me was that he was…remarkable. Tall and lean, as if he'd been etched from stone, yet made supple. The way he moved was loose, dangerous. He did not hide his face, as a common criminal might. Instead, he looked bold. Direct. And more than that, beautiful in the way the sea was, fierce and distant. I did not know the company of men. It was forbidden. But at night, in the privacy of my rooms in the protected women's quarters of my father's palace, I looked at any and all men I could find—if only on the internet. Something about this man made me feel breathless.